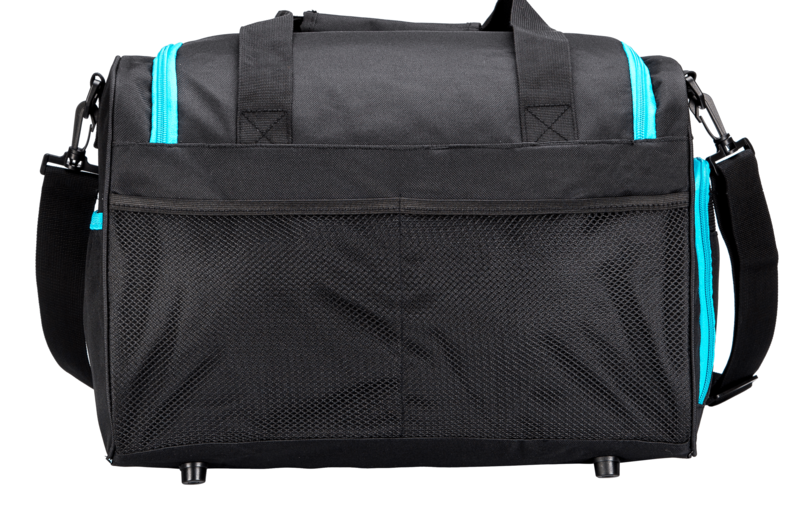 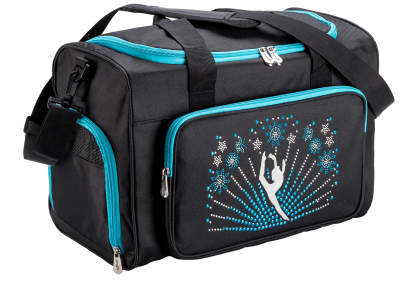 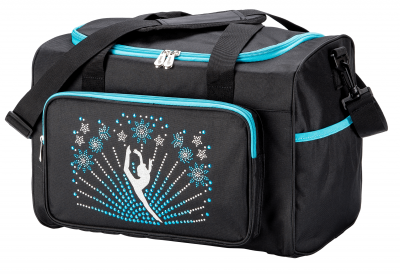 Celebrate Dance with this brilliantly decorated duffel. 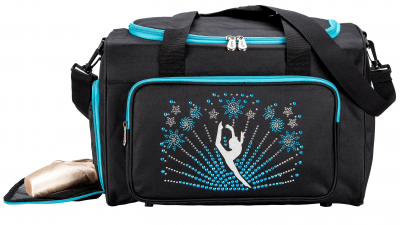 Rhinestone and rhinestud design creates a beautiful and exciting bag. Matching teal zippers add to the “pop” value! Durable 600D polyester material. Can be personalized.